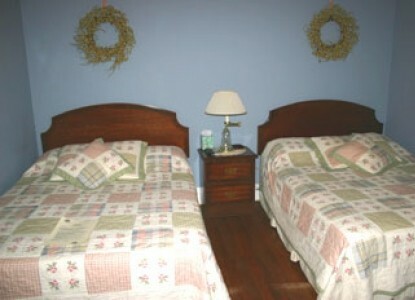 The Ocean Breeze room is perfect for 2 friends who want to spend some time at the Jersey shore together. 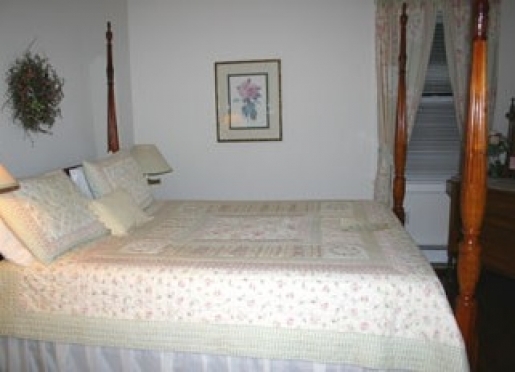 The Rose Garden Suite is perfect for a family because it provides 2 bedrooms while sharing the bath. 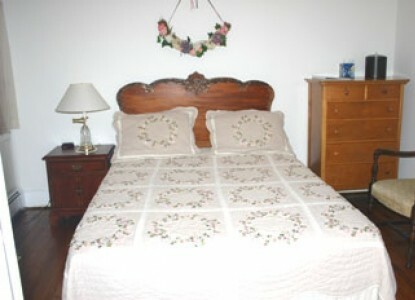 One room has a queen size bed, the other has a double bed and pull-out sofa.Sleeps up to 6 people. 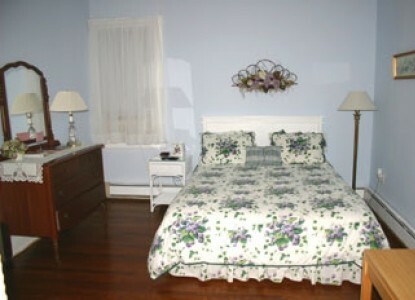 The Sweet Violets room is bright and airy and is accented with white wicker and violet accents. Open a window in this room and enjoy the shore breeze. 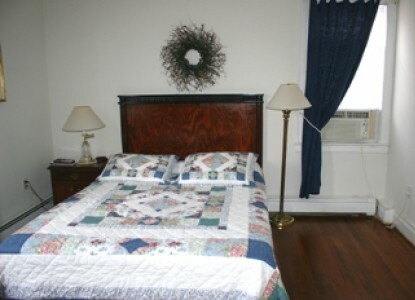 Weekend Getaway Suite has a king-size bed with a small table and chairs for reading or enjoying a glass of wine together. 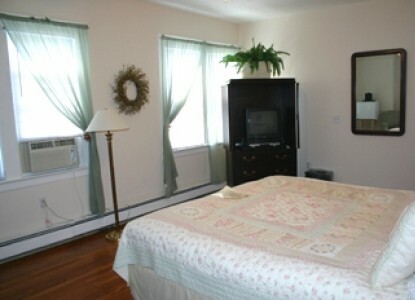 Water's Edge is a second floor room with a queen size bed and new private bath. 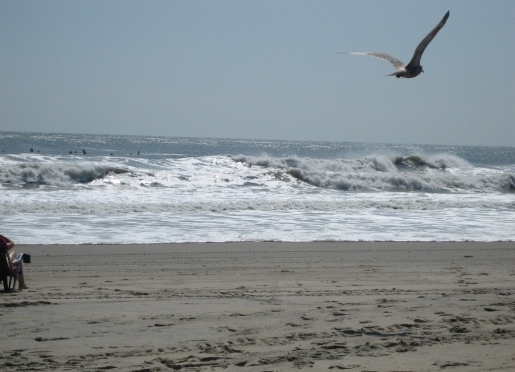 Open the windows to enjoy the shore breeze or use the ceiling fan or air conditioner. You'll wake up in the morning in this bright and cheery room surrounded by wildflowers. 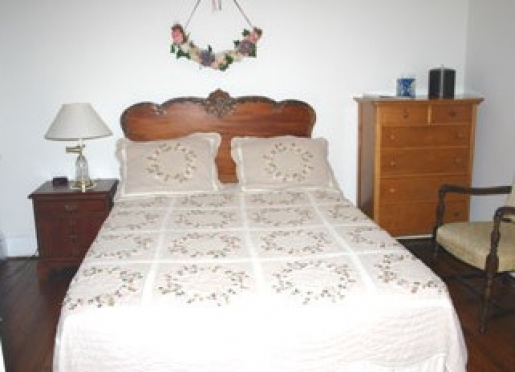 This room has a beautiful carved headboard from long ago. 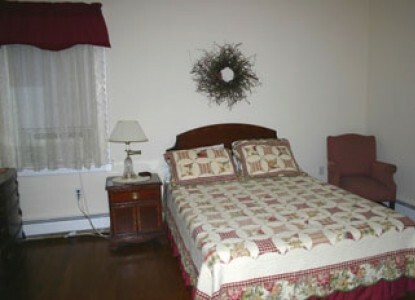 The cozy room is perfect for a couple who wants to spend the weekend relaxing at the Jersey shore. 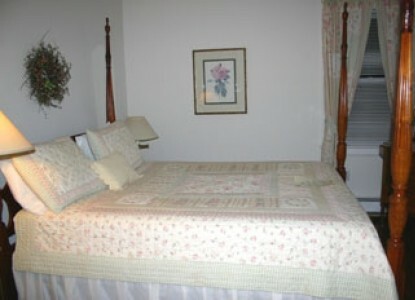 This room has a beautiful, queen sized four poster bed decorated with a quilt and curtains with soft pale pink roses. Check in: 3 - 7 pm. In the event that you must cancel your deposit will be refunded less a $25 bookkeeping charge, if 2-weeks notice is provided. If less than 2-weeks notice is given, the deposit (less bookkeeping charge) will be refunded only if the room is re-rented for the entire length of your intended stay. 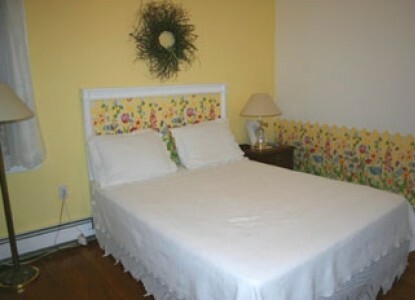 In-Season reservations at our New Jersey Bed and Breakfast Inn require a one-night deposit when booked. Deposit may be forfeited if a reservation is cancelled less than 14 days prior to arrival date and we are unable to rent your room; however, we will make every effort to rent it. Thank you for making an inquiry about staying at The Sandcastle Inn. We've emailed you a summary of your inquiry to help you keep track of who you've contacted.